Do you study the woodblock print and then the poetry comes to you? Makes you feel like you are there with the deer! Though I often choose the woodblock print after I write a poem, in the case of the young girl in love, I selected the woodblock print first and wrote the poem afterwards. I did that for the woman who was waiting for the moon also. As far as the deer, I have a friend who has a big garden and the deer sleep under a cedar tree there almost every night. 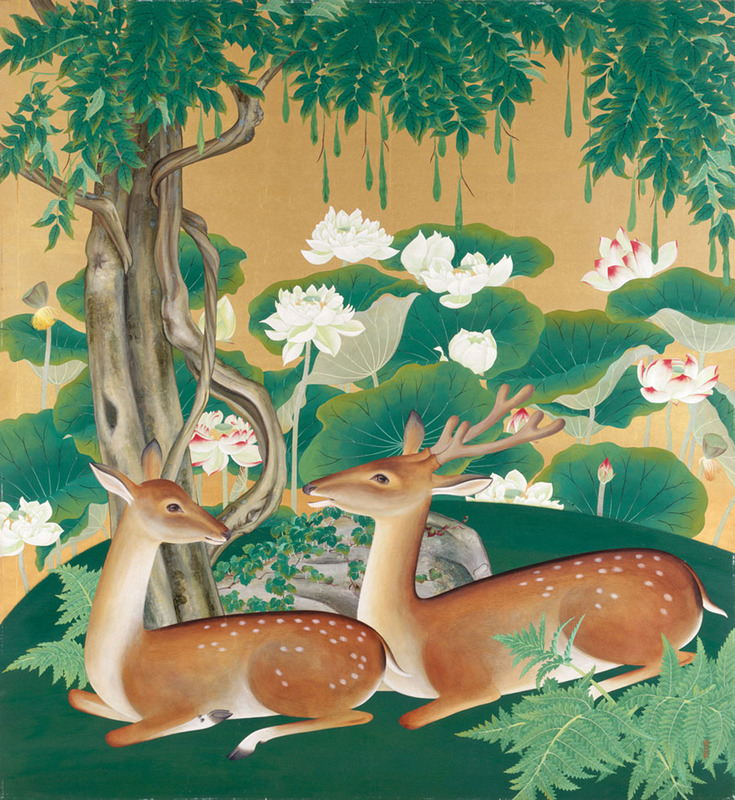 I saw them recently, and then I searched for a painting or woodblock print and found this wonderful painting. Thanks, Rosemary. You are very preceptive to realize I must have seen the deer. I tried to write it from their perspective.